Marketing is largely inspired by people’s behavior. Most consumers need to be motivated to spend, which is where the worlds of behavioral psychology and marketing intersect. Exposing people to the right kinds of cues and copy at the right time coaxes them through the customer journey all the way towards that “purchase” button. Loads of time and research has been devoted to studying the effects of marketing on people’s online and spending habits (in fact, big data has recently become its own trending topic). And it all seeks to address what a buyer wants and expects from your business. The bottom line from all of this research? Behavioral psychology impacts buying decisions. Here are some common psychological tactics employed by marketers to increase conversions online. We’ve known for a while that colors persuade people’s perceptions. Certain colors trigger certain responses in the brain, and motivate particular behaviors in people. When it comes to selling, yellow and red work well. Between them, they’re optimistic, youthful and energetic, and are especially useful when advertising new and exciting products. Meanwhile, we often associate with blue with trust, green with wealth, and pink with romance. Black is typically used with sleek luxury products. Navy and teal appeal to buyers on budget, red and orange is ideal for impulse shoppers, and lighter shades like sky blue and pink work for traditional buyers. 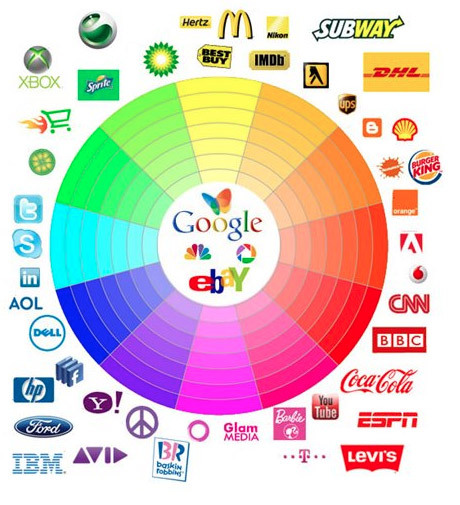 (This color wheel shows how different brands effectively use colors for their logos to evoke specific feelings. Source: Logo My Way) It’s also good to point out here that consumers prioritize visual appearance and color over other types of senses like sound and smell, when checking out new products. Call to action buttons are a succinct way to encourage people to click. Embraced by most digital marketers, they focus the user’s attention on your most desirable action. However, while they’re generally reliable on their own, you can optimize their appearance to motivate even more people to click. By using additional visual cues, you can visually guide people towards that button. A button on its own looks a bit isolated, but that same button used in conjunction with a little extra visual nudge may increase clicks. (Source: Search Engine Journal) Of course, you’ll want to balance the extra visuals with the rest of the page. If it already borders on clutter, or if the look of your brand is simply cleaner, additional cues may not work as well. The best solution is to try it and track the results (again, data). Upselling is a common tactic among digital marketers, but it requires a little more finesse than other strategies. It’s all about the timing. If you try and upsell a user before he’s expressed interest in a product or service, it’s likely to fail since he’s not yet enticed. Likewise, upselling to someone who just bought something doesn’t work as well either, as the customer already spent the money. The offer just isn’t as appealing. For an ecommerce store, the ideal time to upsell someone on additional items is after he’s added a product to the shopping cart. If customers have already agreed to a purchase, they’re already in the buying mindset; they’re amenable to adding more to the order. In this instance, it’s easier to upsell an existing customer rather than focusing on acquiring new ones. People are more likely to respond to an offer if it’s limited. They’re afraid of missing out on a deal, and will therefore scoop up the sale item “today only” or “while supplies last”. 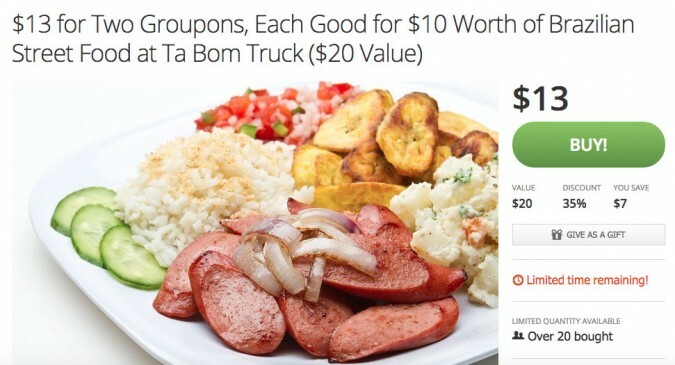 Coupon services like Groupon and Living Social partially base their whole model around this idea. They offer major discounts on products and services, but the catch is that you have to grab them before they expire. To influence your decision, they include a kind of ticking clock, reminding you that this deal is limited. But you don’t necessarily need products to create a sense of urgency. B2B companies can increase their number of free downloads of white papers or guides providing information by simply advertising it as a limited time offer. 1. Use future tense When trying to encourage someone to buy, avoid tentative or conditional tenses. They prevent consumers from being able to envision themselves using the product or service. Instead, use copy that allows people to feel like they already own it. Don’t say things like, “If you purchase”. It only plays into people’s uncertainty. Rather, try a phrase like, “When you use our product…” Your words should reinforce a customer’s certainty about buying. 2. Add value terms When it comes to using copy to influence customer behavior and maximize sales, you should always emphasize the deal people are receiving. Sometimes this can be as simple as adding one or two words to a dollar amount. A “$10 monthly charge” sounds worse than “a small monthly charge of $10.” The word “small” makes all of the difference. People may not even be aware of it, but subconsciously the value word makes the purchase seem more appealing. 3. Always advertise the smaller dollar amount The reasoning behind advertising something for $9.99 versus $10 is clear: it’s less money. Even if people are only saving a penny, the difference seems more substantial. The same concept can be applied when describing the price of an ongoing service or payment plan. It’s not $144 / year, it’s $12 / month. See? With a slight tweak of copy, all of a sudden the item or service seems so much cheaper. For many products, buying is often motivated by excitement – especially when a product is new. It doesn’t matter if the new summer line from The Gap looks a lot like last year’s summer line. The fact that a new line exists is enough to put away those ancient old clothes. According to at least one study, new things are always more exciting to us because of the way the human brain is wired. If your brand doesn’t necessarily release new products periodically, you can still create novelty around existing items and services, perhaps by re-contextualizing them. By illuminating new (i.e., previously un-marketed) ways in which they can benefit people’s lives, you stir up a little excitement among consumers. Storytelling can be a massively powerful tool in marketing. Stories trigger emotions in us because they tap into our experiences and senses. Once we associate our feelings with a brand, we’re more likely to engage with it. Apple does an exceptional job of using their products to tell stories. Often, their commercials rely on familiar, emotional experiences. They showcase intimate moments or specific achievements among family and friends that are all enabled by their tablets, phones, etc., and they make you want to share the experience with the people in ads.